WARNING this is a "Love at First Sight" home!! Paved road frontage and 1+ acre wooded lot adds privacy to this picture perfect, both inside and out, retreat. "Bells & Whistles" galore! 2 story stacked rock fireplace, chef&apos;s kitchen w/new black stainless steel appliances + granite countertops. Oversized Master w/stacked rock fireplace, huge loft, new full house 22kw generator, a covered porch leads to Spa deck w/new hot tub, new HVAC + 1036 sq ft of heated/AC living space ready for expansion in basement level...the list goes on! Fantastic location, half mile from gated entrance & half mile to Rec Center featuring yr round pool, fitness center & tennis. 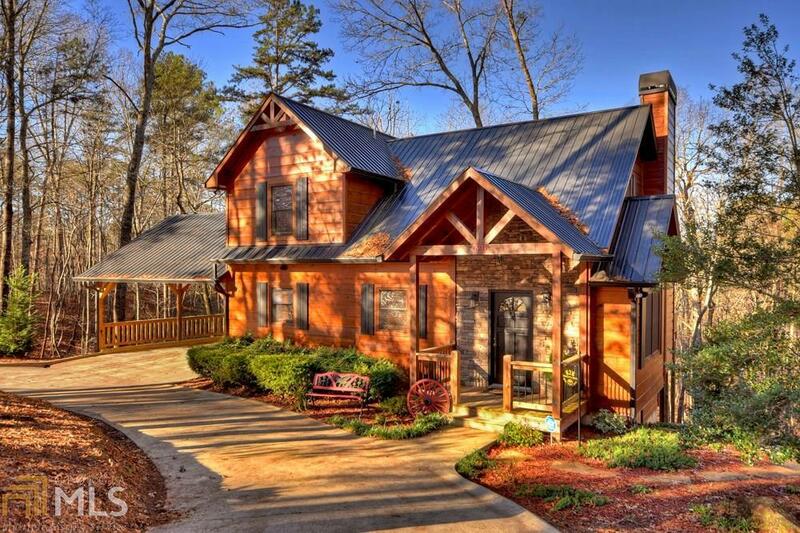 All paved roads, no steep drives, covered parking, numerous amenities, public utilities, level terrain. Directions: From The Corner Of Hwy 382 And Old Hwy 5 S, Take Hwy 382 W 3.7 Miles To A Right Into The Eagle&apos;s Mountain Entrance Of The Resort. Take The 4th Left On Moray And Immediately U-Turn And Go Back Towards Gate On Eagle Mountain Drive. 2nd House On The Right.